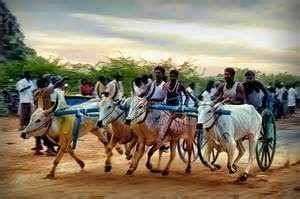 In a landmark victory for animals, the Supreme Court of India yesterday banned bullfights and bullock cart racing in many states of India in a major step towards protecting animals from human cruelty. The court favored constitutional status for rights of animals like citizens. It said, "Parliament, it is expected, would elevate rights of animals so that of constitutional rights, as done by many of the countries around the world, so as to protect their dignity and honor." This is a time to celebrate the victory of animals, but how effectively this ruling is implemented is yet to be seen. Because despite stringent rules being in place to protect animals, they are still being tortured, mistreated, traded and butchered. A task force, to implement this ruling, should also be formed to oversee the implementation of this ruling, and the task force should consist of honest, animal loving officers. We hope that in near future there will be more such laws to protect the rights of the animals, and the animals would have more chances of living in peace.